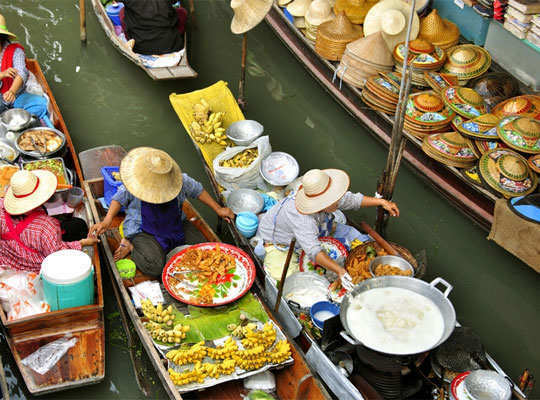 From the air conditioned multi-storied malls and gleaming chromes to the bustle and hustle of its busy street markets, Bangkok has it all. 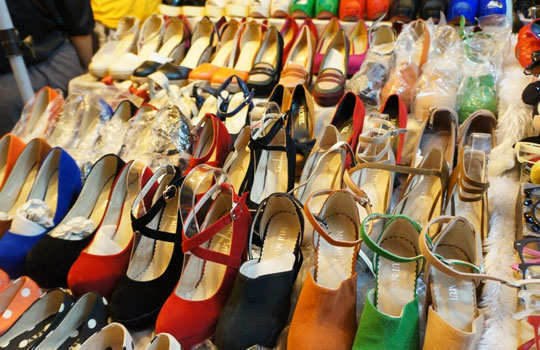 From the latest edition of Gucci shoes to Jimmy- Choo bags, you have a variety of things to choose, and that too at a very cheap price. 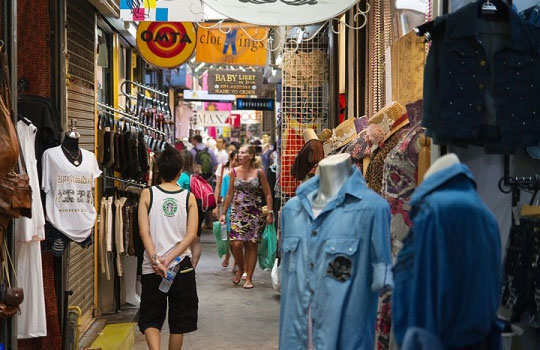 There is so much to shop here, that I could pen down a multiple posts on Bangkok shopping. So, if you plan for a trip next season, buy these ten best, cheapest value products. Thailand is the land of orchids. Orchids are shipped to different parts of the world at a very high price, but here, they are unbelievably cheap. A bouquet of orchids will just cost you $1. 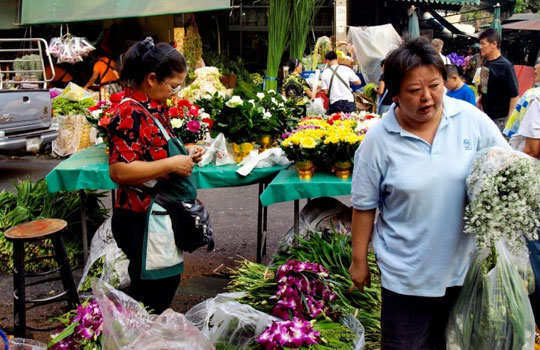 Not only orchids, but you can check out other flowers too in the flower market. 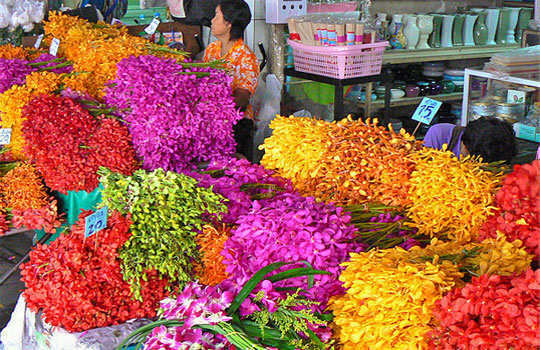 There is a variety of captivating and colorful roses in the market. 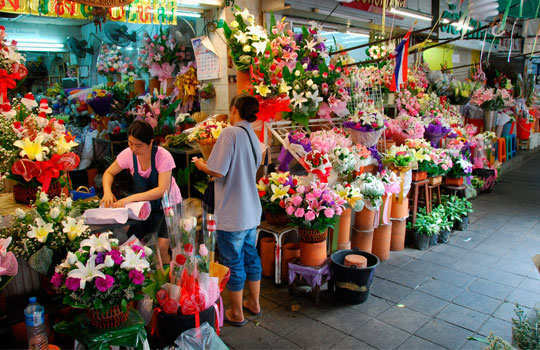 Bangkok’s Chinatown and the Pak Khlong flower market. There is nothing better than wearing a branded suite that is beautifully stitched, and well-fitted to your body. But at times, being measured at the streets can be fun and exciting, especially if you know the product value you get in return. Who would not love the imitations of Gucci, D&G, and Jimmy –Choo. 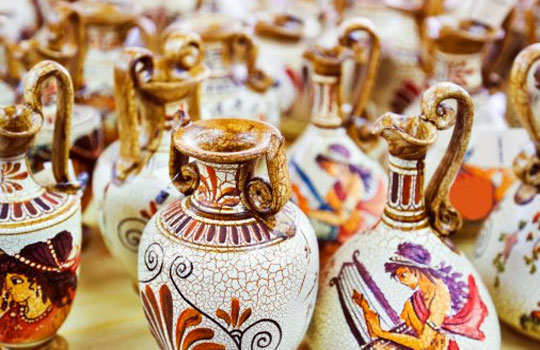 If you love ceramics and pottery, and want to decorate your living room shelves with homemade pottery and ceramics, then this is the perfect destination for you. 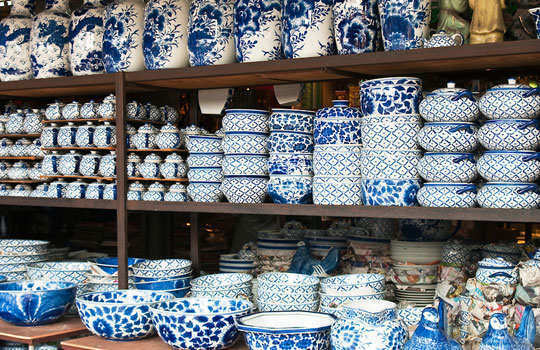 From Celadon, white pottery, blue pottery to stoneware, Thai ceramics, and stones, this place has it all. 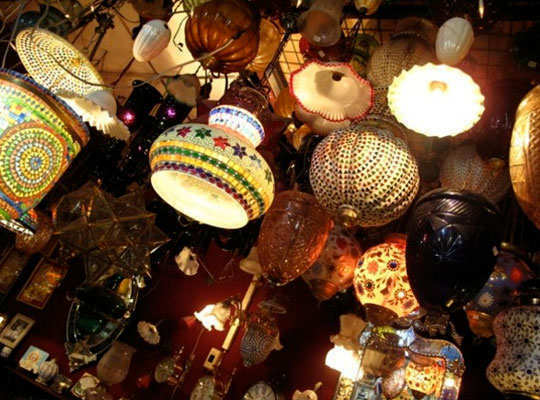 Amazingly beautiful lamps, paper lights, flower vases, pillow cases, embodied table clothes, Chinese towels, and vintage lamps can be shopped just for $5 or less. 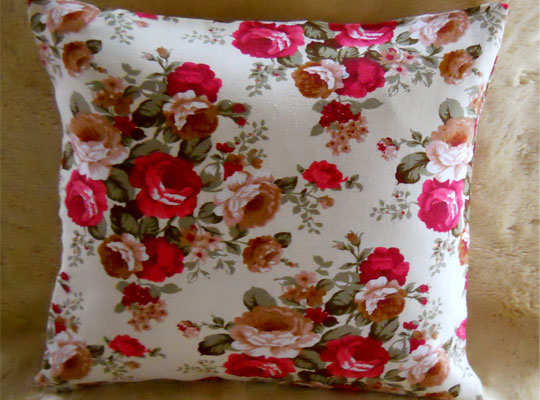 I recently got a pair of handmade embroider pillow cover for only $5. 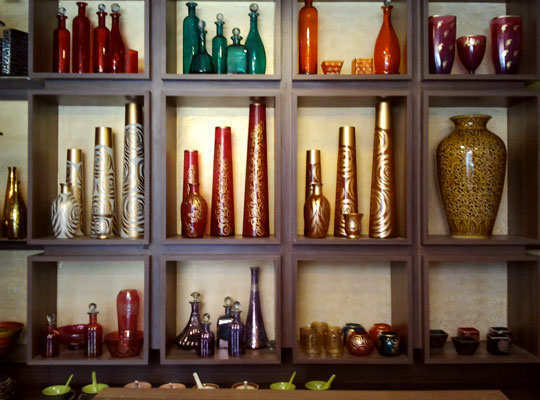 Handmade vases are available at a price of less than $5. Before I pen down, let me confess, I’m a bagaholic. Where other girls collect shoes, I love collecting purses, clutches, and bags. 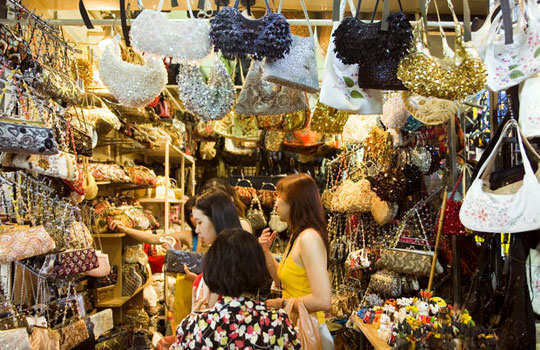 When I visited Bangkok, I purchased more than 30 bags, which are still untouched, but who cares as they were on sale. 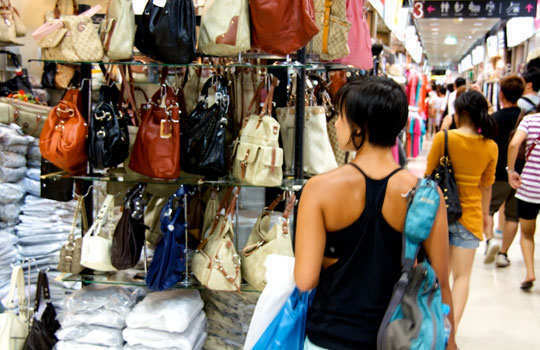 A designer handbag is less than a $5. And for those who are shoeaholic, worry not! You have a lot to shop, from heels and wedges to stilettos and boots. You will find the latest designs and cuts for around 150 baths ($5). No wonder, if you buy 100 pairs at a time. 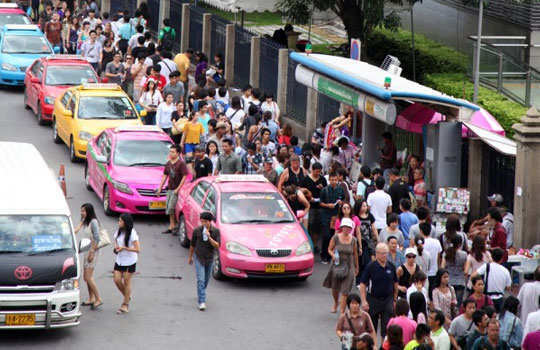 Siam Square, Street Stalls, MKB Shopping Mall, and the Chatuchak Weekend Market. 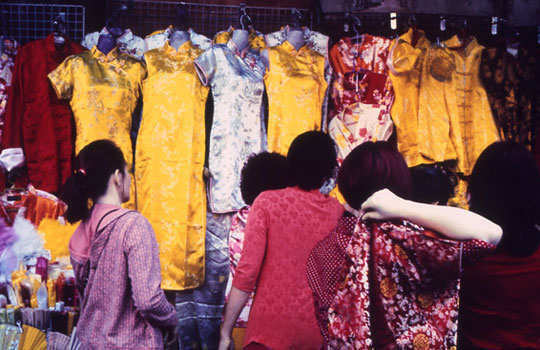 Whether you are hunting for the fabric for your new curtains, or for your new silk suite, you will be amazed to see the endless collection that Bangkok offers to you. 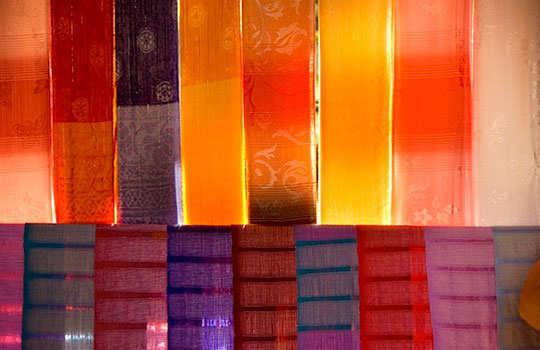 Right from exotic sarongs to Thai silk, this place is ready to grant you anything you wish for. 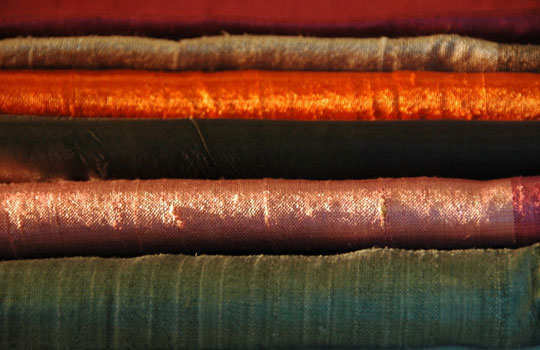 Here, silk is famous for its bright vibrant colors, gorgeous deigns, and fantastic quality. 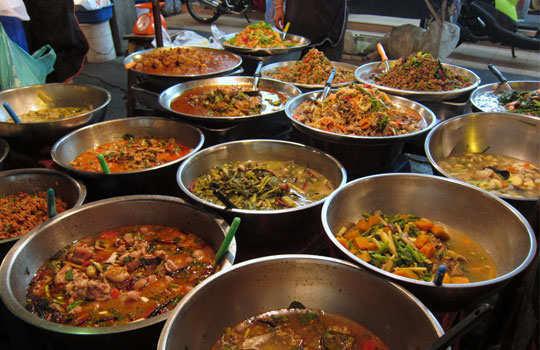 You can get a variety of it here. 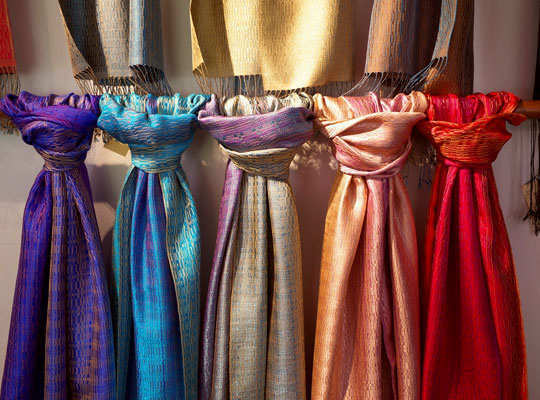 Explore the capital city to buy the best silk. I am a caffeine addict. I drink almost 15 cups of coffee a day. While you travel, it becomes a little difficult for you to spend on teas and coffees every hour (thanks to your budget). 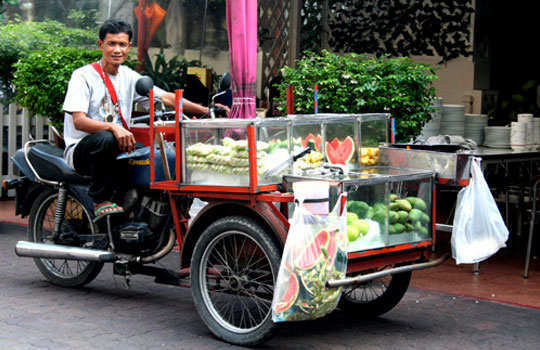 Surprisingly, when you are travelling in Bangkok, you don’t have to cut starve for caffeine. 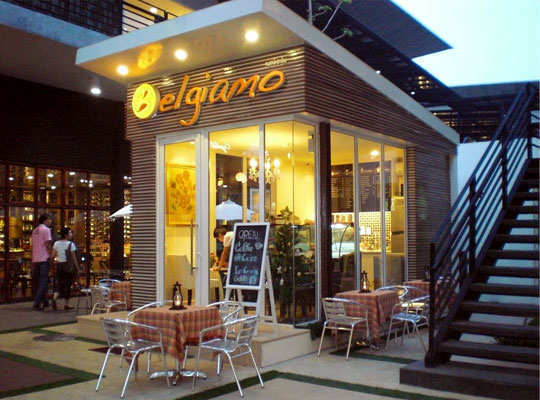 You will find coffee houses at every corner of the city. 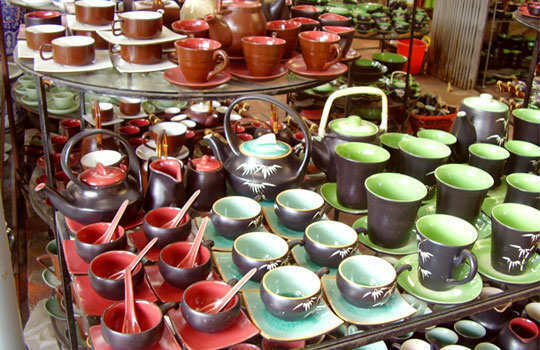 From Japanese coffee houses to Thai coffee houses, you will get them at just $3.5. You can get benefited from all the Vitamins and minerals just in a day. 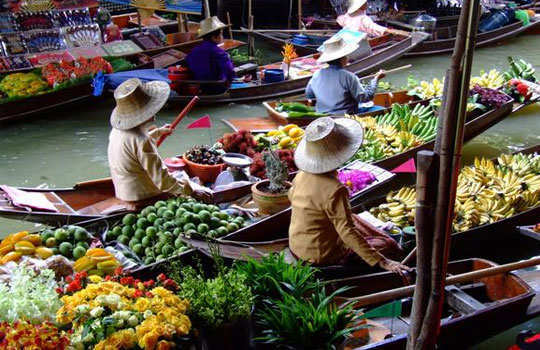 The Bangkok fruit chat consists of mangoes, papayas, kiwi, dragon fruit, lichee, and half a pineapple. You can have them along while you shop down the street, in just less than 40 cents. Enjoy these charming fruits, and stay hydrated throughout the day coz you have a lot to shop, isn’t it? 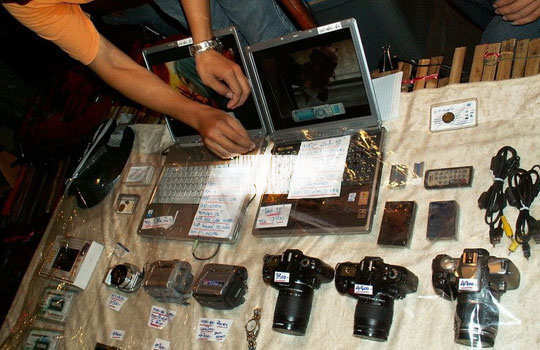 If you are an electronic geek like me, pick the latest laptop or computer, loaded with up-to-date operating systems, with loads of games. 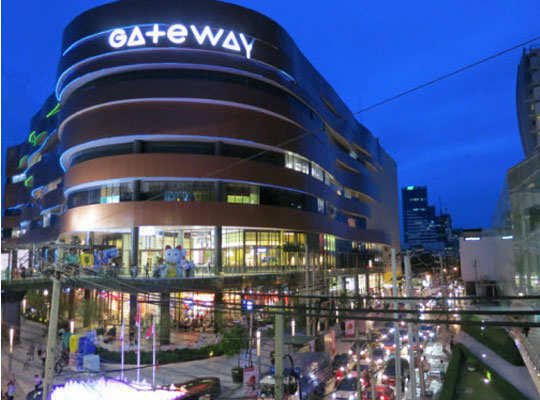 Walk down the Pantip Plaza or the Fortune Town Mall. 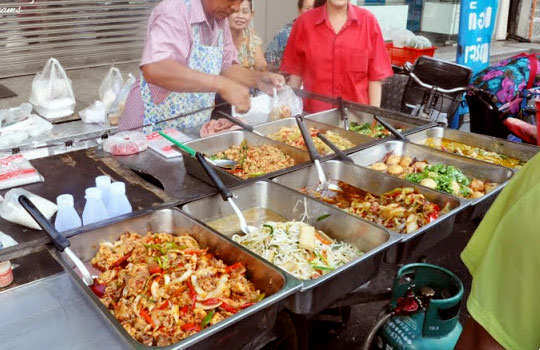 If you are a foodie (like me) and love eating street foods, then this place is perfect for you. You can eat a meal for $1. 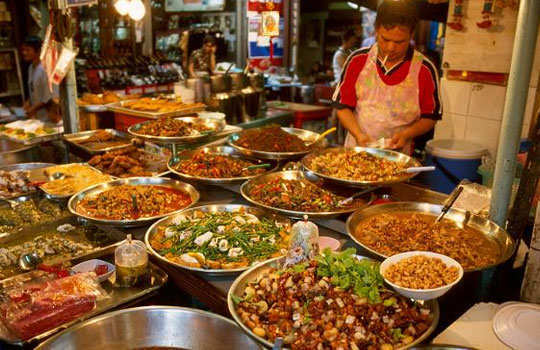 If you want to relish the Thai noodles or some sushi or salmon, it will just take less than $7. And if pocket is no bar for you, then of course, you have loads of options to try on. 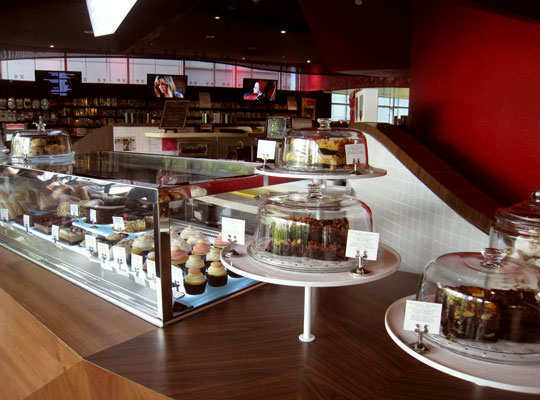 If you are a movie lover or a game addict, you have hundred of options to buy them in the city, at cheaper costs. 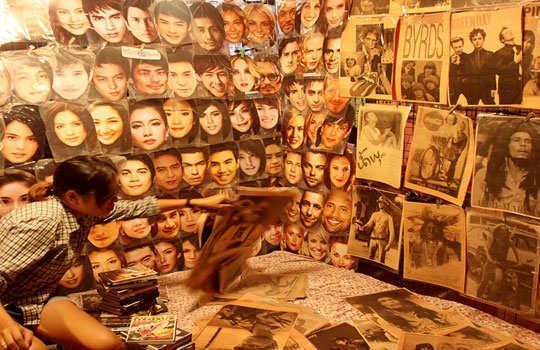 If you are looking for your favorite pop album, check out the cd shops at any of the malls in Bangkok. 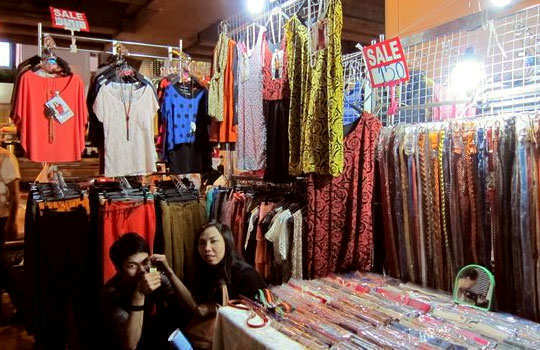 I am sure you will be thrilled to find a variety of collection that will suite to your pocket. 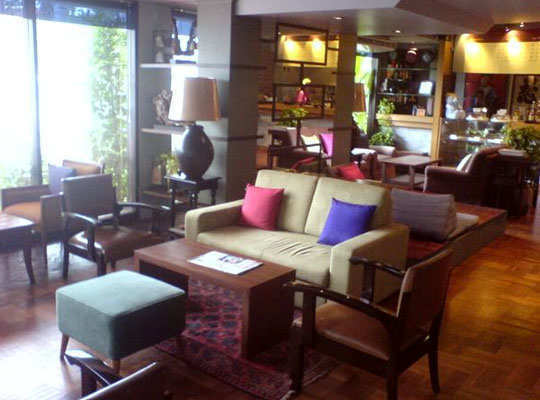 Soon, you can start your own music cafe then.